Liverpool took a sizeable step towards the semi finals of the Champions League with a confident home win against Porto. The visitors had been torn apart in a 5-0 drubbing at Anfield in the round of 16 only 12 months ago, and it looked like history might repeat itself when Naby Keita scored his second goal in a week after only five minutes. Roberto Firmino was involved at both ends of a fine team move when tapping home a second 20 minutes later, but Porto dropped into a deeper block and held out for the remaining 65 minutes. 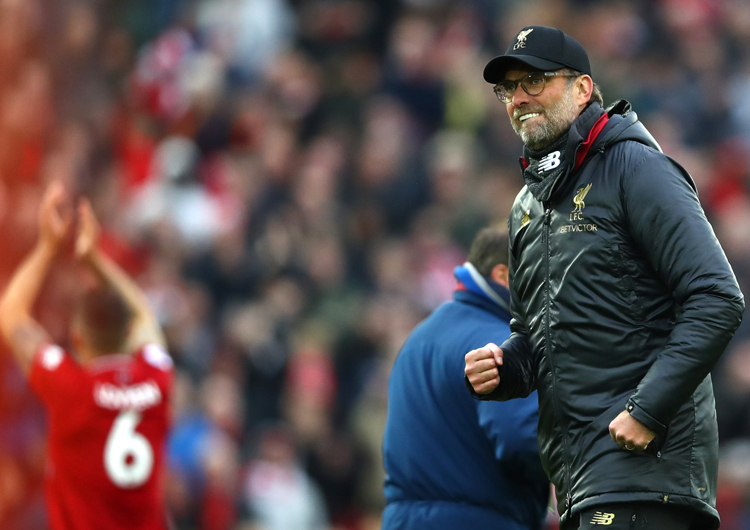 Having won 3-1 at Bayern Munich to secure their spot in the last eight, Jurgen Klopp and his team will be confident in their ability to see the job through in Porto next week. Jurgen Klopp set Liverpool up in a 4-1-4-1 formation, with Fabinho playing between the defensive and midfield lines. Sadio Mane and Mo Salah occupied the wide attacking positions, while Naby Keita and Jordan Henderson played in advanced central attacking positions – much further up the pitch than they have been in previous fixtures, although Keita has played in the role before and Henderson had shown some of his attacking skills in the 3-1 win at Southampton last time out. Roberto Firmino played as the centre-forward. 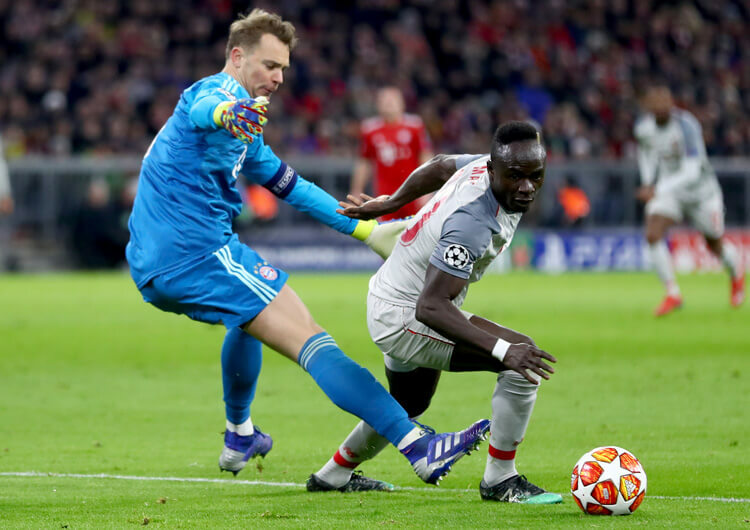 The hosts looked to try and release their attackers in behind early – particularly Salah and Mane, who would try to run into the space behind the Porto defence. 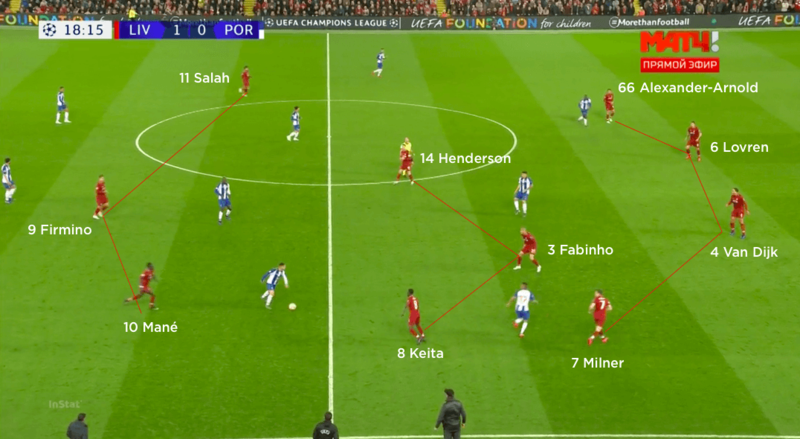 Henderson and Keita dropped into the half-spaces in order to compact Porto’s block and open up passing lines into full-backs Trent Alexander-Arnold and James Milner. 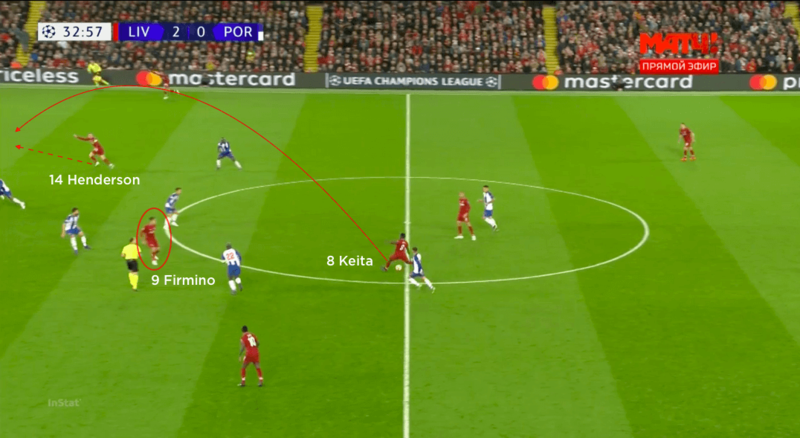 Firmino also dropped towards the ball, which caused problems for Porto’s two central midfielders – particularly when one of Keita or Henderson then ran beyond their forward. 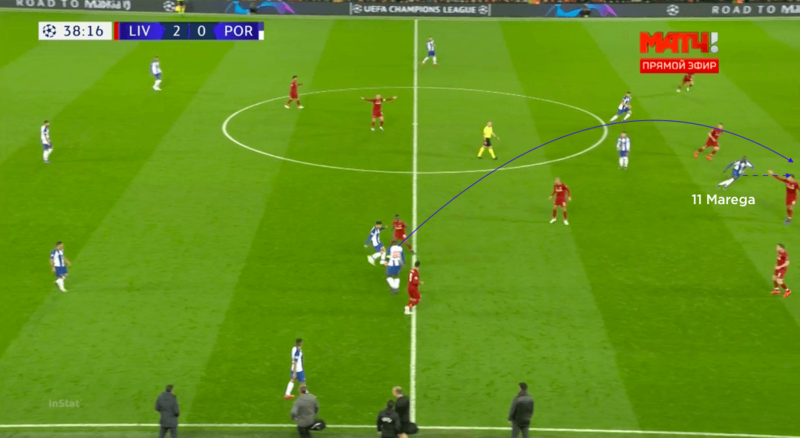 Liverpool demonstrated patient circulation of the ball when Porto dropped into a 5-4-1 low block, looking to probe as and where possible – their second goal on the night, scored by Firmino, was a great example of them selecting the correct moment to penetrate. 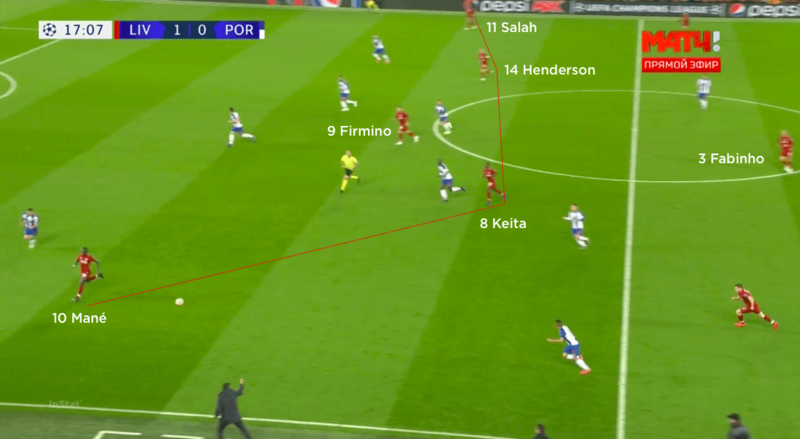 With Porto falling deeper, Liverpool began with Virgil van Dijk, Dejan Lovren and Fabinho against Moussa Marega, who became the lone forward in the 5-4-1; the Reds then pushed Milner and Alexander-Arnold high and wide, allowing Mane (later Divock Origi) and Salah to push inside along with Henderson, Firmino and Keita. 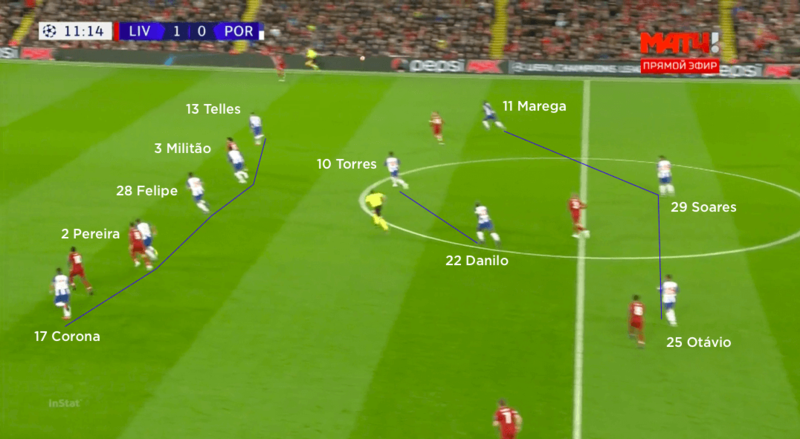 In this way, they essentially created an attack of seven players between and beyond Porto’s midfield and defensive lines. Out of possession, Liverpool operated in a 4-3-3 shape. Keita and Henderson dropped in with Fabinho to form the second line of three, while the front trio sat narrow and each took responsibility for one of Porto’s back three. If the ball found its way into the visitors’ two central midfielders, then Henderson and Keita would close them down, with Fabinho backing up and the front three turning to press from the other side. The outlet for Porto throughout was through their wing-backs, Jesus Corona and Alex Telles, who would be pressed by Alexander-Arnold and Milner. 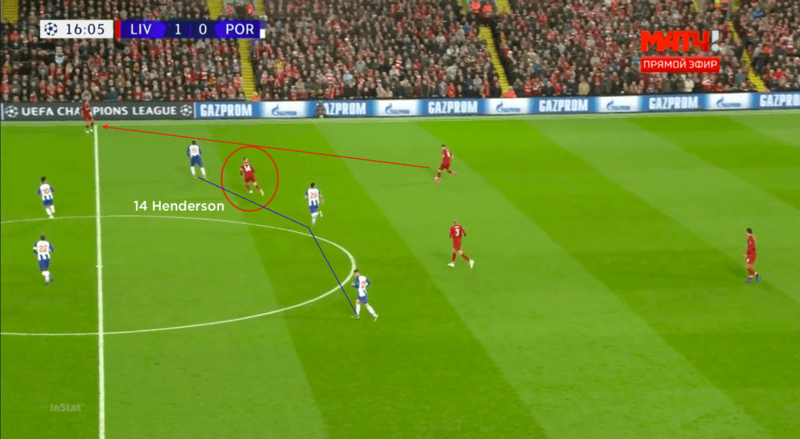 As the Liverpool full-backs were drawn out, the outside central midfielder (Henderson or Keita) on that side would move across to cover the space inside and try to prevent a direct passing line into the Porto attackers. Liverpool set up in a 4-1-4-1 formation. 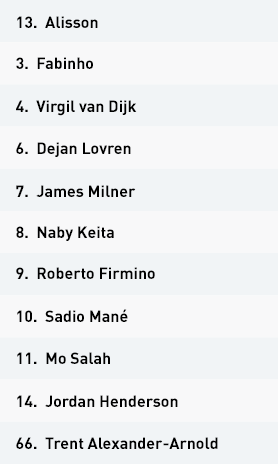 Fabinho sat in between the lines, with Naby Keita and Jordan Henderson in more advanced central midfield positions than usual. Mo Salah and Sadio Mane operated out wide, with Roberto Firmino as the central striker. The hosts dropped into their more usual 4-3-3 shape out of possession. 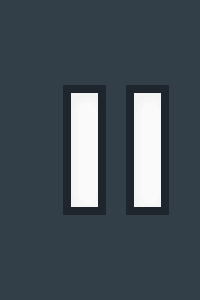 Salah and Mane operated narrow so the Liverpool front three each had responsibility for a member of the Porto back three. Keita and in this instance Henderson would drop into the half-space to force Porto’s front three to remain compact. This opened up a passing line into the full-back on that side. 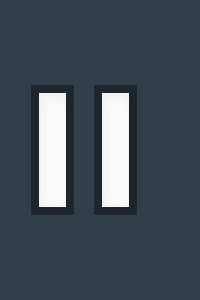 Firmino dropped deep from the number nine position, allowing one of the attacking central midfielders – Henderson on the right, Keita on the left – to rotate and threaten in behind. Porto set up in a 3-4-3 formation in possession. Wing-backs Alex Telles and Jesus Corona formed a midfield four alongside Oliver Torres and Danilo in the middle. The wing-backs dropped alongside the back three in a 5-2-3 shape out of possession. The visitors offered little going forward, but when they did they looked to play direct and get their forwards running in behind the Liverpool back line. In the second half, Porto switched to a 5-4-1 formation in a low block. 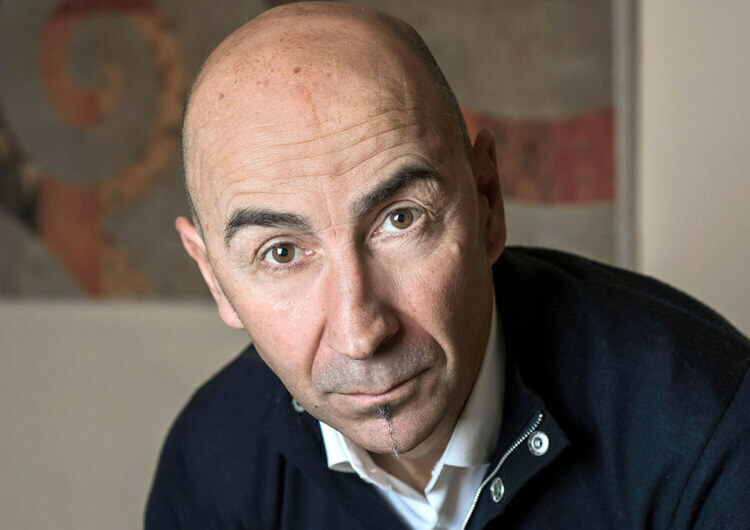 Francisco Soares operated as the lone forward until he was replaced by Yacine Brahimi, who played from the left of midfield while Moussa Marega was pushed forward. 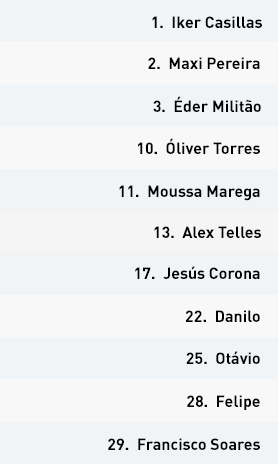 Porto set up in a 3-4-3 formation in possession, with Jesus Corona, Danilo, Oliver Torres and Alex Telles across the midfield, and Moussa Marega, Otavio and Francisco Soares operating as a front three. The visitors only registered 40 per cent of possession across the 90 minutes, and their attacks were somewhat one-dimensional – they almost exclusively looked long, for the runs of their front three in behind the Liverpool defence. When the visitors did try to play through Liverpool, they used the wing-backs as their out ball. On the right, as the ball progressed to Corona, they would look to drop Otavio towards the ball in the hope of enticing Virgil van Dijk out and increasing the space in behind for Marega to exploit. They would often play into midfield first, to narrow Liverpool centrally and increase the space for the wing-backs to receive. In the second half, with Porto operating predominantly in a 5-4-1 due to the amount of time they spent out of possession, Otavio and Yacine Brahimi (who replaced Francisco Soares) would have more of an impact in the midfield third. This gave Porto more options around the ball when they regained possession, with Marega as the out ball in behind – this is how the visitors created the few chances they made. Off the ball, Porto initially set up in a 5-2-3 formation, with Danilo and Torres as the two central midfielders. They didn’t really press Liverpool high up the pitch, and would rarely go near van Dijk or Lovren when the centre-backs had possession. Instead, Francisco Soares would try to affect Fabinho, Marega would close down Alexander-Arnold and Otavio would press Milner. 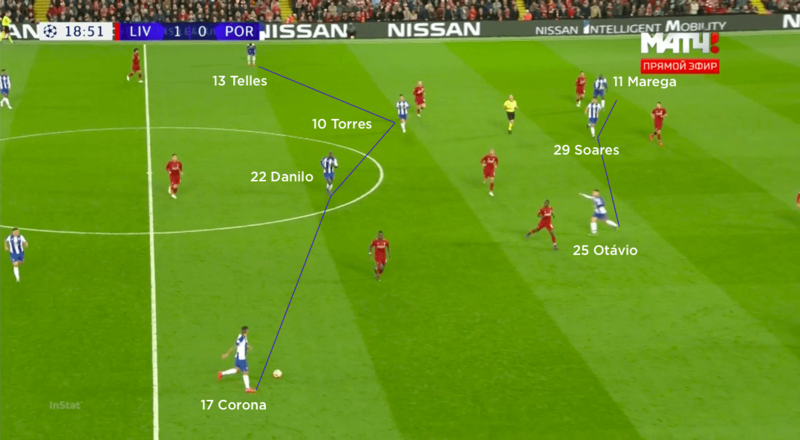 The issue for Porto was that Liverpool pushed their full-backs beyond their front line of three, from where the diagonal pass eliminated them. This left the two central midfielders covering a large amount of ground, or the wing-backs being drawn out to press rather than dealing with Mane and Salah. As a result, Porto fell into a 5-4-1 on a regular basis, and switched to this as a permanent strategy for the remainder of the game. Otavio and Marega dropped in with Torres and Danilo to form the line of four; in the second half, Brahimi took Marega’s place on the left, as the latter replaced Soares as the lone striker. The problem with the low block was that Porto became too compact and couldn’t get out to the ball quickly enough when Liverpool’s attacking midfielders were in shooting positions, yet could still be eliminated with passes.  Torres and Danilo tried to track Henderson and Keita when they ran in behind, but as the game progressed they became more concerned with maintaining a compact shape and not conceding any more than the two goals on the night.